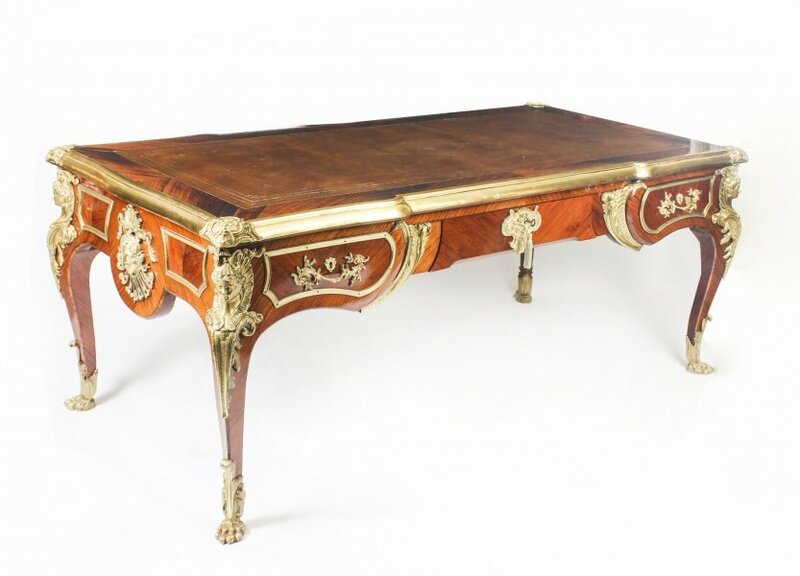 This is an absolutely stunning tortoiseshell antique boulle centre table – a French bureau plat – the last word in opulent luxury, dating from around 1870. 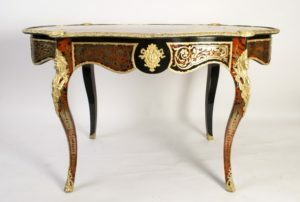 This French bureau plat is beautifully inlaid in cut brass on tortoiseshell with winged cherubs, a cupid and flowers. In addition there is scrolling acanthus foliage and honeysuckle. The capacious frieze drawer is centred with a classical female mask and ribbon tied tasselled ormolu escutcheon. The table stands on beautiful cabriole legs. 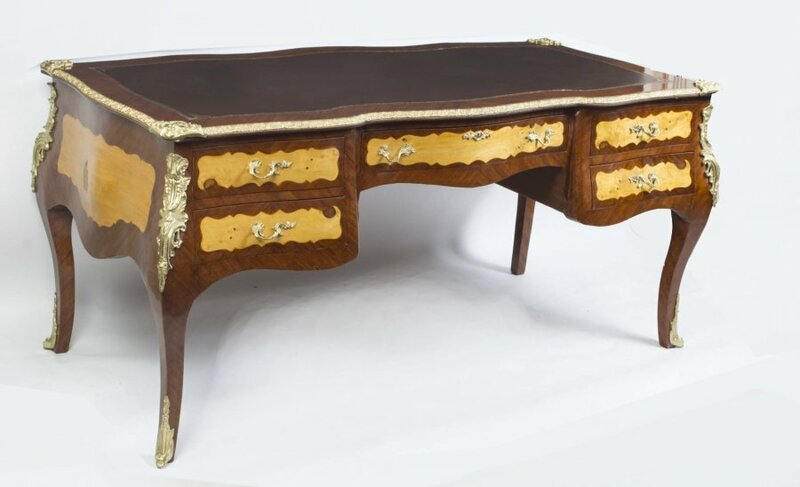 The term ‘boulle’ comes from André-Charles Boulle (1642 – 1732), who was the French cabinetmaker generally considered to be the pre-eminent artist in the field of marquetry. 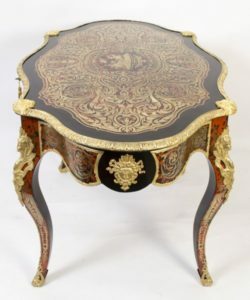 His fame in marquetry led to his name being given to a fashion of inlaying known as Boulle. 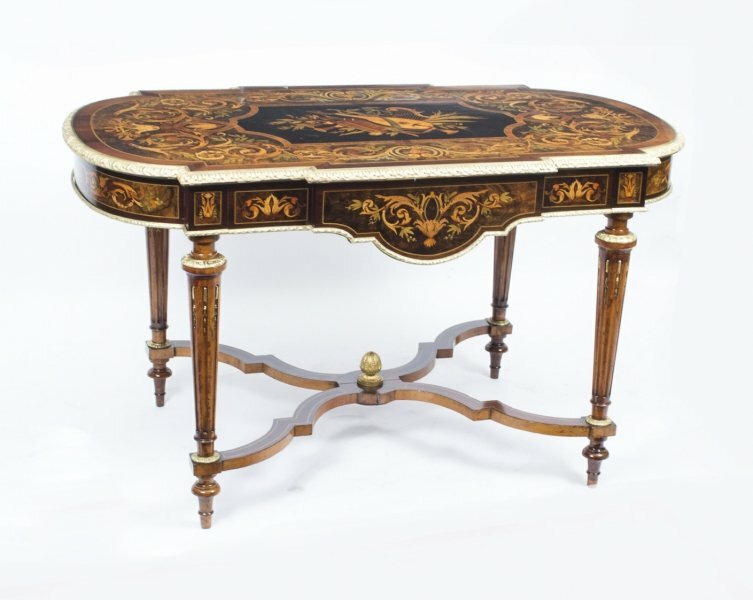 This antique boulle centre table is a classic example of his inimitable style. 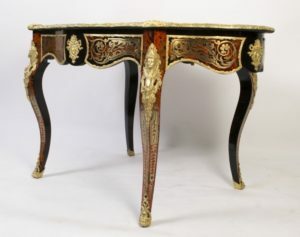 This astonishing, intricate and breathtaking French bureau plat is an absolute masterpiece and the pinnacle of the art of marquetry. It is guaranteed to gather admiring looks and appreciation wherever it is displayed. This French bureau plat is in a great condition having been beautifully restored in our workshops as can easily be seen in the photos we have included in our picture set. Kindly take a couple of moments to look at them and satisfy yourself of this. 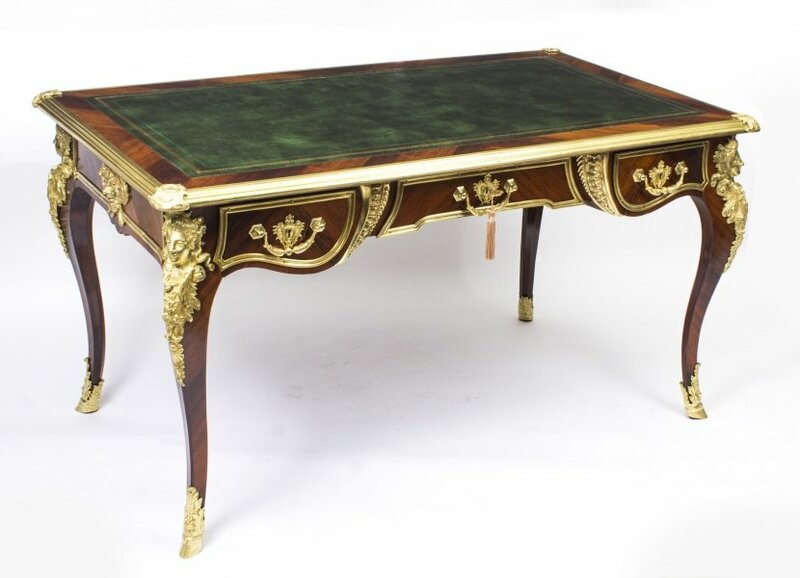 We’re sure you will agree that it’s a good idea to view quality articles like this French bureau plat personally prior to buying. Keeping this in mind, we are really delighted to encourage people to travel to our North London display room to see this wonderful antique boulle centre table personally. When you are here you can go over our extended selection of other amazing products and also speak about any questions or matters that you’ve got. 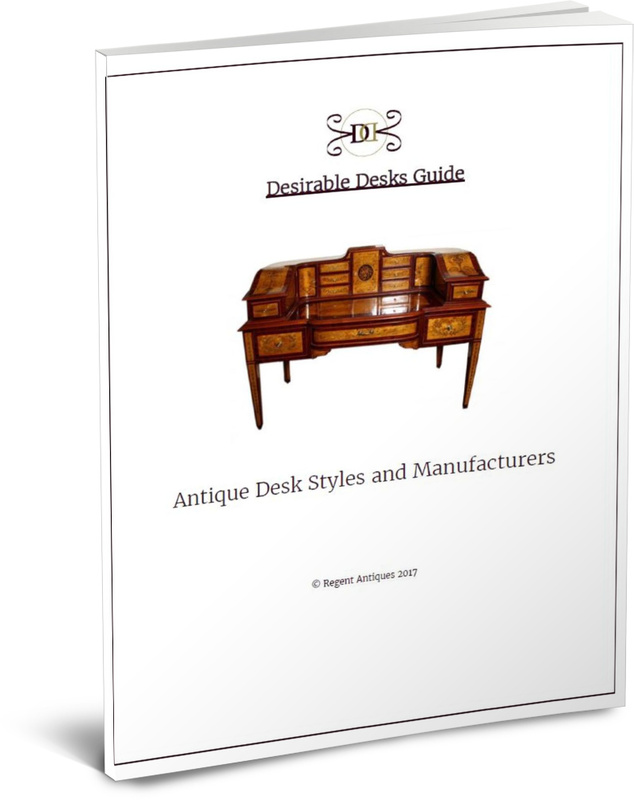 Our in-house experts are readily available to address queries, not simply about this French bureau plat but also regarding antiques and collectibles more generally. The company has a significant amount of expertise and are always delighted to advise. Please phone ahead of time to schedule an appointment so that we can be certain we have the right consultant on hand to assist you. We sometimes open on Saturdays, so if you’d like to come at a weekend, please contact us beforehand to confirm we will be open. We wouldn’t like you making a pointless trip. When making contact with us please be certain you already have the item reference number at hand (06013w) so we can be certain which exact object you are looking to speak about. Please click on the ‘Find Out More’ button to get our contact details. 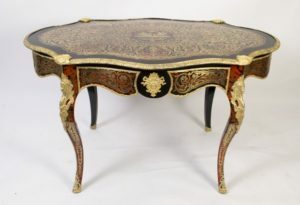 The London salesroom is open Mon to Fri 10am – 5pm for you to view this antique boulle centre table. We also open sometimes on Saturdays – but remember to call ahead of time before doing the journey on a Saturday as we don’t want you to be let down. Please follow the ‘Find Out More’ button for contact details. If you’re unable to visit us, then we are always glad to answer any questions you might have about this antique boulle centre table by email or phone. We have internal advisors who will be ready to guide you through any aspect of your proposed purchase, so why not take the opportunity to gather more information. When you make contact please make certain you give the item reference number so we know which of our numerous objects you are talking about. You can see both our email address and our telephone number by clicking on the ‘Find Out More’ button. 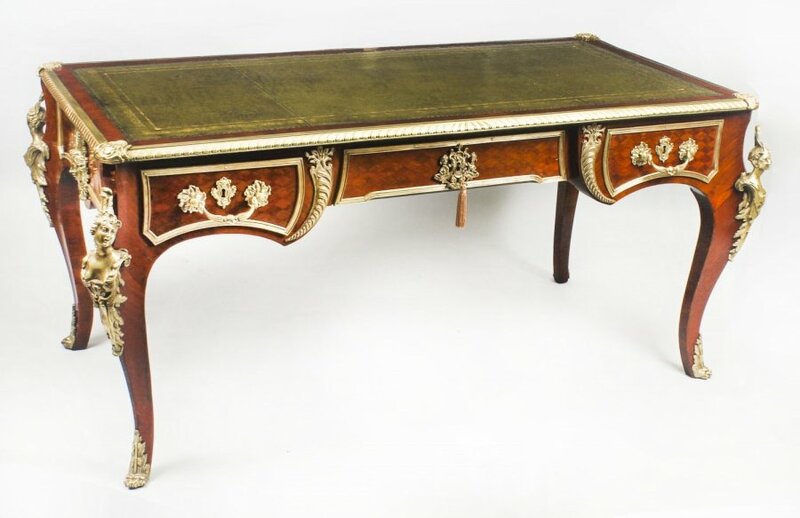 Superb pieces such as this French bureau plat require expert packing and shipping to ensure they arrive in the very same condition that they left us. We take great pride in our shipping experience and can deliver to pretty much any location globally. However, we ask you to make contact to talk about transport arrangements and receive an estimate prior to making any acquisitions, as we need to be certain that we can meet all your shipping specifications. As you will appreciate, some articles need sensitive handling and we need to see to it that everything is set up to get it to you safely. 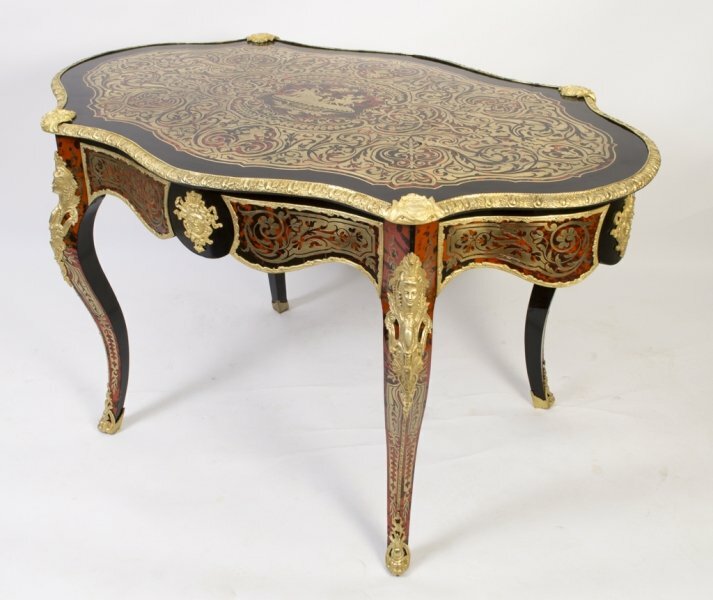 Please quote the item reference number for this antique boulle centre table when getting in contact so we know precisely what the shipping needs will involve. If you are not pleased with this French bureau plat, we supply a 14 day money-back guarantee in conformance with the Distance Selling Regulations. If you do want to return it, you will have to pay the return shipping charges, unless we sent you something materially different to what you were anticipating or have mis-described it in some material way. You must send the article back in its’ original condition and packaging.